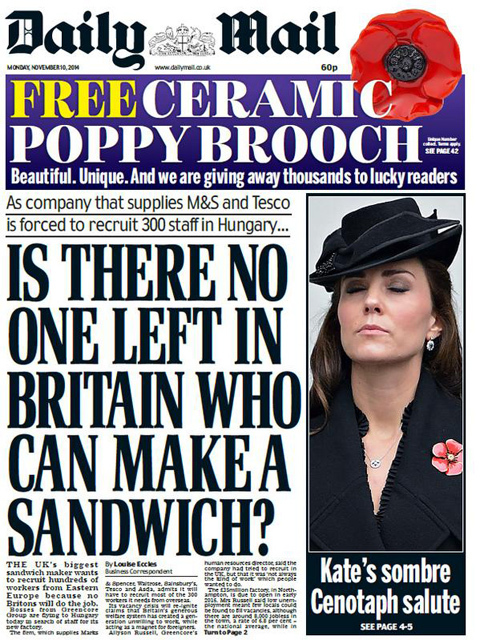 Today's Daily Mail front page asked, "Is there no one left in Britain who can make a sandwich?" English Twitter had a field day. The Mail’s exasperation at Britain’s inability to train people to slap meat and cheese between white bread was too great of a gift for the trolls of Twitter to resist.